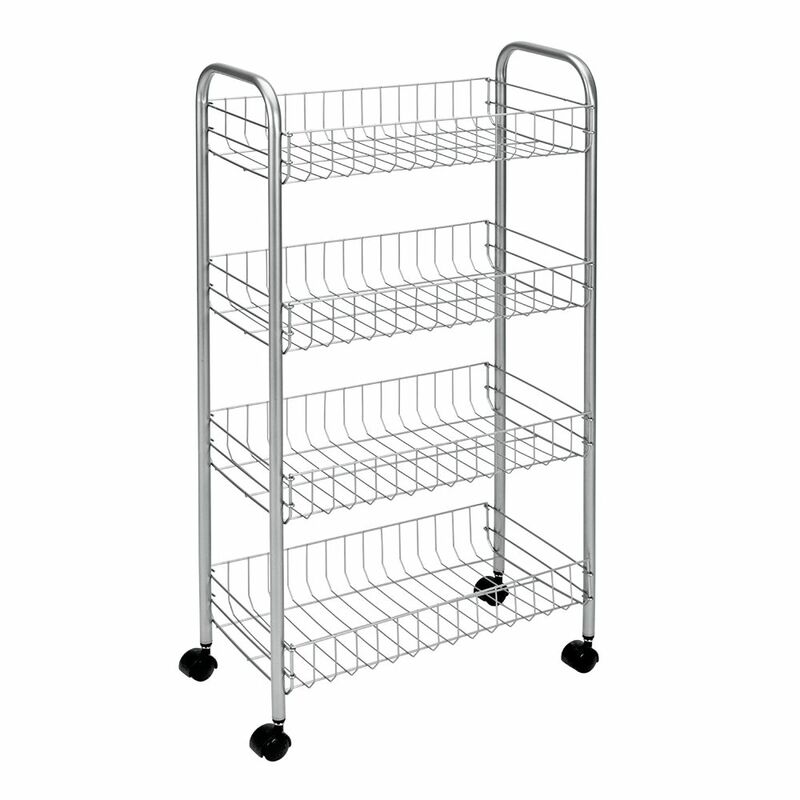 Polytherm - Ascona Rolling Cart 4-Tier 41 X26 X 85 CM Metaltex offers a wide assortment of rolling carts. In the kitchen, bathroom, bedroom, studio or garage; Metaltex carts are the best multipurpose storing carts that ease the carrying of the many things that you always need on hand. Products coated in Polytherm <sup></sup> : the exclusive Metaltex anti-rust and dust coating. Made in Italy with hard-wearing materials to stand the test of time.